You have the weekend off and want to enjoy it at home. You look around and realize that there are many DIY projects that look like a great investment for the next weekend. But you’re having a hard deciding what needs to be done and how long would that take. Because of that, we have compiled a list of 5 home improvement projects you can complete in a weekend. 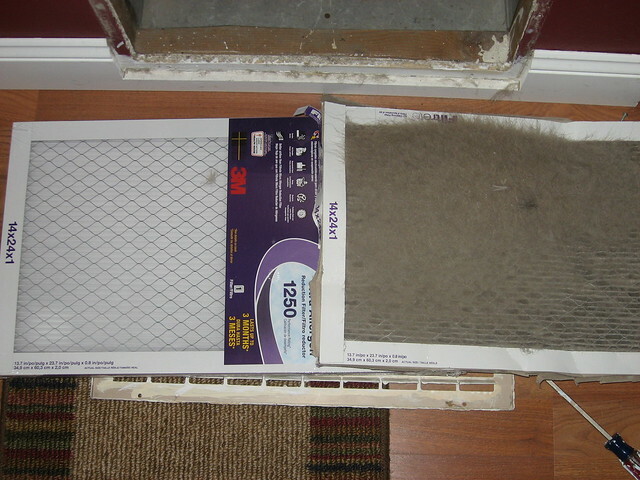 When the time comes to change from the cold-oriented weather, where you have to heat up the house, to the heat-oriented weather, where you have to cool off the house; then it’s time to change the HVAC air filters. This is a perfect DIY weekend project because it’s simple, requires no technical knowledge and the best thing is that it represents the change of seasons. This not only makes it a chore, it means that the nice weather is coming and that you’re preparing the house for that. There is nothing better than going into your closets, decluttering them and then organizing them in a proper manner. It’s like going into your “past” and making it fit perfectly with the ideas you have in the present. Also, you can buy and install a simple closet-organizing system which many home-improvement stores have at their disposal. Or you can be a DIY master and just tinker with the closet until you deem it done. Nothing feels more like a change than a splash of fresh, new color on the walls. If you are sick and tired of the same old mundane, lifeless color on the walls; now is the perfect time to change it. The best thing about painting a room is that it’s a room, not a house. So you can experiment with a single room and see how it feels when it’s done. Sometimes, you don’t know if you hit the perfect combination of green and yellow until you see it on the walls. This can be so much fun for the entire family. All you need for this DIY project is sand and some stones (bricks work as well). It’s a perfect opportunity for everyone to contribute to the project by either helping carry the stone, putting the sand in the right place or aligning everything so it fits perfectly. If there is one thing that announces spring, happiness, and joy, it’s natural light. So many of us tend to create a shelter out of the house during the cold, winter months. But when spring and summer comes, it’s time to remove those big drapes that prevent natural light from coming inside the house. Change the drapes and wash the windows which have collected the entirety of winter onto them. And you will see a major change in the way the natural light flows inside your home – it will feel brighter and welcoming. And there you have it; 5 home projects you can complete in a weekend. All that is left right now is to plan out which one of these you’re taking on next weekend.